It's official! 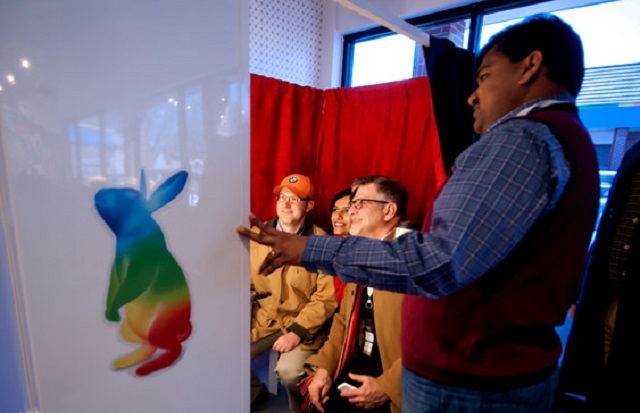 Google Fiber announced today that Charlotte is one of the next cities to receive their residential Gigabit Internet service. Attracting talent. Creatives, software developers, web designers, advanced manufacturers, videographers...all examples of who could be attracted to live in our region with a fiber infrastructure. Not only will the individuals see value in relocating here, but companies who are recruiting employees from out-of-area will be able to list it as a quality of life benefit for being here. Increase in competition improves ISP service levels and reduces prices. Areas without much competition are left behind. One of the benefits we've already seen from Google Fiber considering Charlotte is AT&T and TWC both committing to improve their offerings in the region. As excited as we are to be selected, we also realize the hard work is just beginning. How do we leverage this new infrastructure to improve our community? How can we encourage entrepreneurs to build apps leveraging the increased speed, reduced latency, and improved quality of service? How do we make sure everyone is included and people are not left out? These questions and more remain to be answered, and it won't be Google Fiber who answer them, it will be us. We the users of a Gigabit Internet infrastructure must be co-creators of the game plan. We encourage you to join us in this effort. Please encourage your friends to sign up for our newsletter and follow us on Twitter (@CltHeartsGb). Let's build the future together.